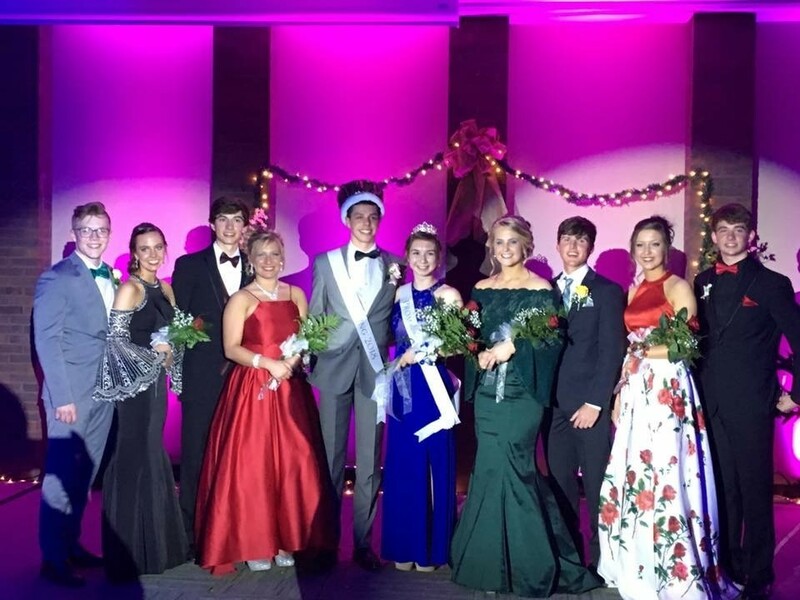 This year, OHS Seniors selected the 2018 Prom Court: Kalleigh Harris and Josh Kaminski, Chloe Hilt and Caleb Miesner, Emme Olsen and Isaac Riegler, Jaci Terrell and Blake Stine, and Morgan Aldridge and Brock Gottschalk. The votes were tallied and at Prom the Queen and King were announced. Seniors Morgan Aldridge and Brock Gottschalk were crowned Queen and King. Morgan and Brock have attended the Olympia School District since kindergarten. In the fall, Morgan will attend the University of Alabama Huntsville to major in aerospace engineering. Brock will attend the University of Missouri in the fall to study accounting. “I was so sure that I wasn’t going to win that I didn’t even vote for myself, but after I heard my name called I felt so much love knowing that everyone supports me,” said Brock Gottschalk. Kalleigh Harris will be attending Heartland Community College in the fall to study nursing and Josh Kaminski will be attending Valencia College in Florida this fall to study human communications and marketing. In the fall, Chloe Hilt will attend Heartland Community College to study elementary education and Caleb Miesner will study nursing at Illinois State University. Emme Olsen will be playing softball at Illinois State University next year, studying accounting . Next fall, Isaac Riegler will attend Taylor University to study sports management and play baseball. Jaci Terrell will be playing soccer in the fall at Illinois Central College and will major in elementary education. Blake Stine will major in nursing at Grand Valley State University next fall. Congratulations to the 2018 OHS Prom Court!